Can I get Pregnant with Gallstones? Women are more likely to develop gallstones than men. They can be the result of being over 40, losing a great deal of weight quickly, being obese, or even being pregnant. The majority of women who develop gallstones have no symptoms at all and they are usually found when other tests are performed that are not related to the gallbladder. While gallstones will not prevent a woman from becoming pregnant, it is possible that a woman with them will struggle to conceive. 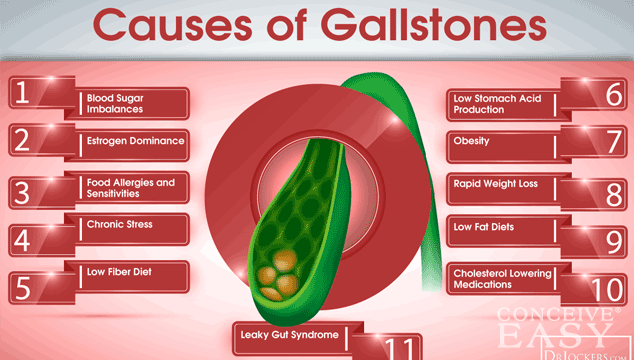 This is common because of the condition that caused the gallstones in the first place. For example, if a woman is overweight, she may struggle to become pregnant because of the extra weight. The best thing that you can do if you are trying to become pregnant is to attempt to be as healthy as possible. Know the things to avoid to get pregnant fast. To do this, make sure that you are eating healthy foods and maintaining a healthy body weight. Doing these things will help prevent gallstones from occurring and increase your chances of conceiving.